Getting the best powered PA speakers for yourself will require some research into what these speakers offer, and what you really need. Besides the basic requirements like high volume range, clarity and durability, there are other aspects that should be taken into consideration. 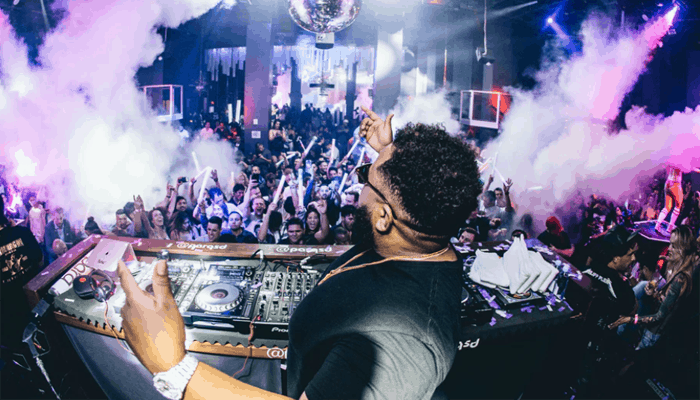 This buying guide will help you understand all the jargon, and will help make your parties or concerts the absolute best! Can you daisy chain power speakers? What does a powered speaker mean? Powered speakers, or active speakers, are the speakers that have amplifiers, which produce a very loud sound. Speakers can be used almost anywhere for a wide range of activities, but most commonly you would need them for concerts, parties, conferences or for home stereo systems. They are usually quite versatile in this sense and that is why make an important part of any music setup. This speaker has redefined power with its 1000 watts. It's a two way powered speaker with an equally powerful woofer that is 10 inches. The speaker produces sounds in wide angles (75 degrees to be exact) both horizontally and vertically so the sound spreads throughout the room uniformly. The inputs provide a lot of functionality with the combo XLR and ¼" TRS input allow connection with line level and microphone. The RCA cable input allows you to connect mp3 devices and line level mixers for DJs. Additionally, you can mix up to three outputs internally and get a balanced output by daisy chaining. No more stumbling on the wires and stopping the music as this speakers' ports have V-lock IEC power that prevents the cord from unplugging. It is strong but light enough to be transported. If you want good quality sound with powerful woofers, then this is the speaker for you. + Suitable for Daisy Chaining! Why We Liked It - The V-lock technology is pretty amazing because there is nothing more annoying than unplugging wires by mistake and killing the whole mood. It ensures that the music stays on and the party goes on. 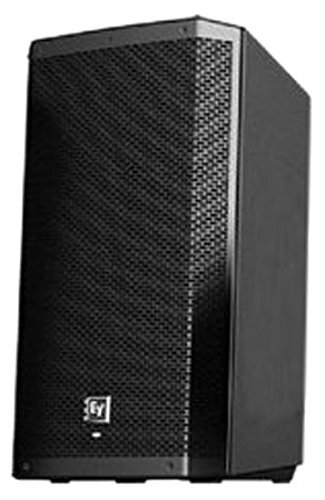 This is yet another power behemoth of a speaker from QSC that has class D power module of 1000 watts. You can be sure about the high quality of sound you will be getting out of this speaker. Not only would it be loud, it would also be balanced. The ABS closures are quite rugged but light, so consequently; the speaker is lightweight too. You would not be too labored to carry it from one place to another so the party can go on wherever you want it to. The EQ settings provide you a lot of control over audio with HF and LF settings. The former can be set to Vocal Boost to enhance mid frequencies and the latter can be set to deep to make the bass a lot stronger. There is no destructive clipping thanks to the GuardRail protection. 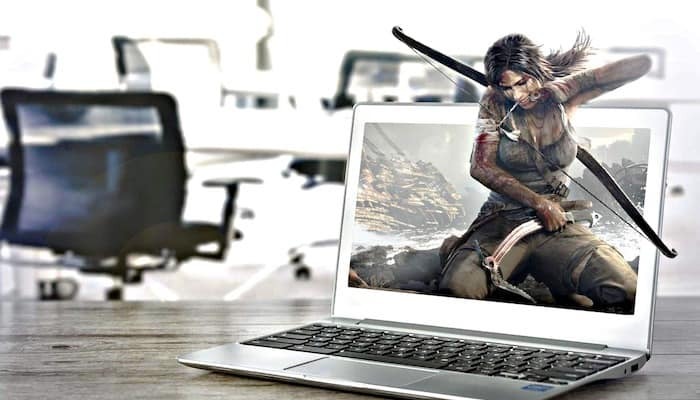 Why We Liked It - It is powerful and portable so good for those who are always on the go. 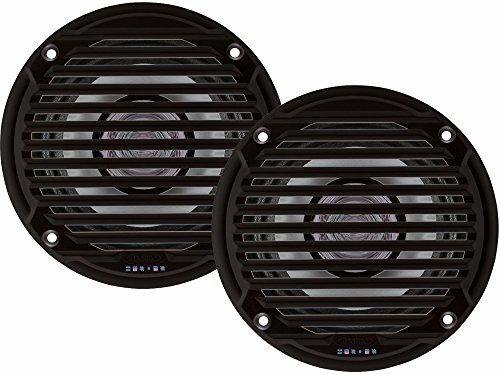 It is a pain to carry those giant speakers anywhere when you need high volumes of audio so these provide a viable and convenient solution and deliver enough power. Yamaha needs little introduction when it comes to music equipment like speakers. The DXR15 is all about delivering the top quality sound that is clear and loud. The 1100 Class D amplifiers ensure that you get the volume that shakes the roof. It comes with a multiband compressor dubbed as the D Contour. What happens is that the output is constantly monitored so even at the highest volume you get sound that is super clear. The onboard 3 channel mixer takes multiple inputs that allow you to amplify mp3 audios to your vocals. This is an incredibly innovative product that takes into account acoustics of the rooms. Some rooms with low ceilings really kill the intensity of sound and to address that problem it can be mounted at two angles 0 degree and 7 degrees that just keeps the sound away from reflective surfaces. It is great for any kind of setting and is obviously durable. Why We Liked It - This one is all about quality which is pretty obvious as it is from a good brand name. The speaker is designed to be convenient for the user and achieve the purpose behind getting speakers: playing high volume with high clarity. 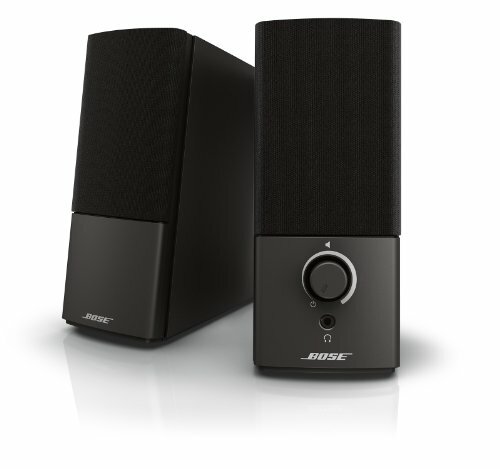 If you are looking something that gives you a wide range of possibilities and let you have your music the way you like, then the Bose F1 Model is perhaps designed for you. This speaker can be switched between four shapes: straight, C, J and reverse J. You can just push and pull the arrays to get the position you want and this way you get the best coverage area. When you change the shape the EQ is automatically adjusted to suit the tonal balance for that particular coverage area. It is definitely very powerful but a lot more compact than speakers of the same range. This basically gives you a lot more versatility in terms of getting the best outcome for any kind of room you are keeping it in. 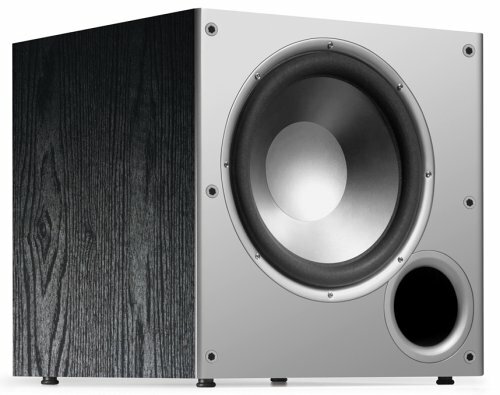 The bass can be extended by adding a cheap subwoofer and with that you get a system that is hard to find anywhere else. Why We Liked It - The different shape option due to the arrays make it more functional in spaces that are usually complicated in terms of acoustics. Musicians want the best possible output no matter where they are playing and with this they should have zero qualms. This a dual way powered speaker with a 12 inch woofer ready to produce the high volume you need. Like other QSC models this one has a 75 degree coverage area both vertically and horizontally that makes sure that the sound goes everywhere. You get the 1000 D class amplifier with two 500 watt bi amped systems. The DMT (Directly matched Transition) give you synced HF and LF which ensures that the coverage across the area is matched too. This speaker can be considered quite intelligent in that sense as in simpler words it adjusts the levels of sounds to achieve more fuller and uniform sound output. With K12 too, you have a diverse range of input option and the ability to simultaneously mix up to 3 audio inputs. It is rather simple but very rugged ad portable. Why We Liked It - The DMT technology and the angle for coverage all ensure that you get sound that is equally great in all areas. There are no so called dead or hot zones for frequencies. 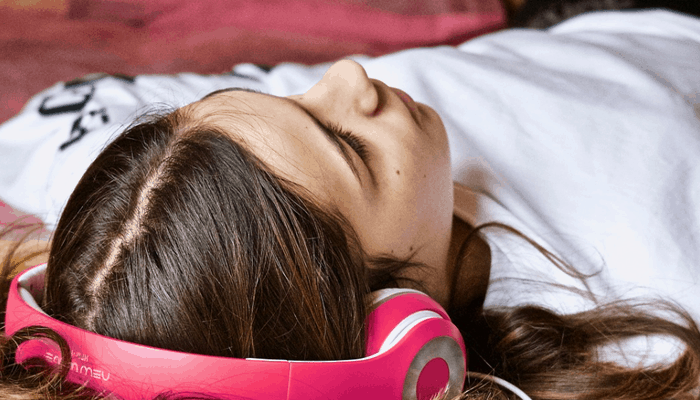 What would you do with quality sound if it cannot be heard everywhere? 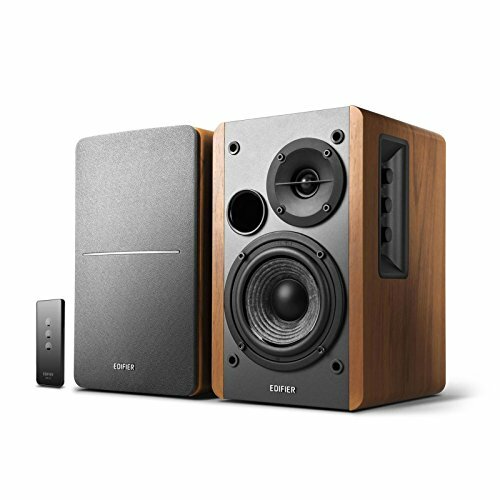 This speaker from Yamaha proposes good value for money as it is good quality but costs a lot less than most speakers from high end brands including Yamaha itself. This 10 inch speaker is Bi amped and is powered by 700 watts of pure digital power. It has the convenience packed plastic cabinet that is signature DBR and provides a lot of portability. Carrying speakers should not have to be a hassle and with this one you can walk for few blocks without any problem. Similar to other DBR series speaker it has a 50 degree angle for floor mounting that ensures that the sound output is not deterred. It is light too and weighs almost 31 pounds. It should make a good choice for those who want quality speaker but have a limited budget. Why We Liked It - Not only is the Yamaha DBR10 affordable it is a very safe purchase as well thanks to its 7 years long warranty. That is a great offer and goes to show that you have nothing to worry about its durability. Electro Voice ZLX15P is a powerful speaker that is worth every penny you spend on account of its super loud sound. 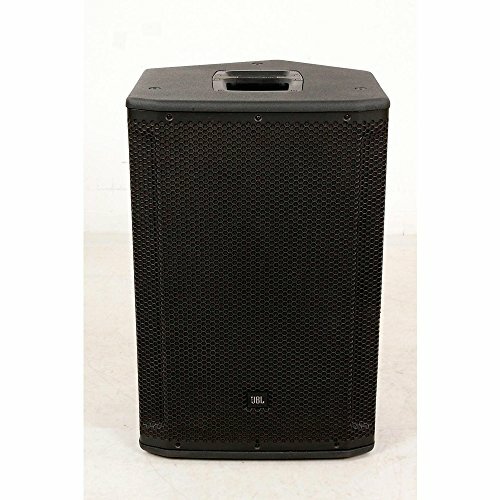 You get max sound of 127 dB with this two way speaker with 1000 watts class D amplifiers. It features built-in custom engineered drivers that paired with custom built class D amplifiers produce sound that is truly unmatched with any run of the mill speaker. If for you the primary selection criterion is loudness than this should be your number one choice. It is definitely good value for money because you get a speaker that is loud, high quality and durable which makes its price quite reasonable. In terms of inputs and output options you have ample options as you would in other options in this list. It is one of those speakers that you will not be able to appreciate until you actually hear how loud they are. Why We Liked It - They are good value for money for those who want a speaker with very high volume. Such speakers can easily be sold for a grand or even more but this one is pretty reasonable. For domestic or professional use, this would not cross the budget. This is a very affordable speaker that is designed for improving sound quality. The phase correction and driver time alignment make the sound very clear. It effectively separates highs and lows to the right speakers. If bass is your thing, you will love the THUMP15. Even when the sound is too high and frequencies varied, the protection system in place would protect the speaker from getting damaged. 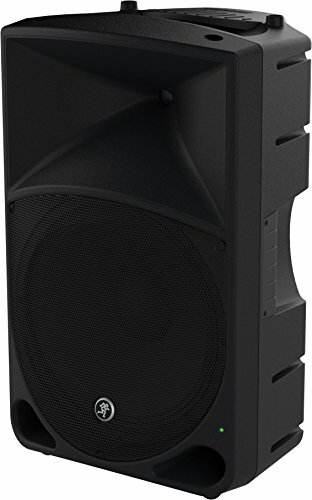 It is difficult to find decent quality speakers at a low price because usually, they are very loud but at high volumes, the quality drops significantly. However, with this speaker from Mackie there is no such drawback. That is why you get the possible value for your money. Aside from its sound, its make is very durable and the weight is low (33 pounds) which makes it highly portable as well. Why We Liked It - The 3 band EQ in this speaker supports the vocal only or acoustic sounds which makes it one of the most desirable powered speakers. It has so many features available for a price that is very low. Quality wise it is comparable with speakers that would cost double the price. This is the 12 inch speaker from Electro voice that has essentially all the features of the 15 inches one. It has the LC display and 1 knob DSP with preset that make setup very easy. The independent amplifier control ensures optimized gain. There are LF and HF transducers that just work their magic and you hear frequencies as they should be heard. It is great for both pole or floor use and you get the same high quality sound. The maximum sound you get with this speaker is 126 dB which let’s be honest is quite loud. The enclosure is rugged and ensures that the speaker lasts for years to come. 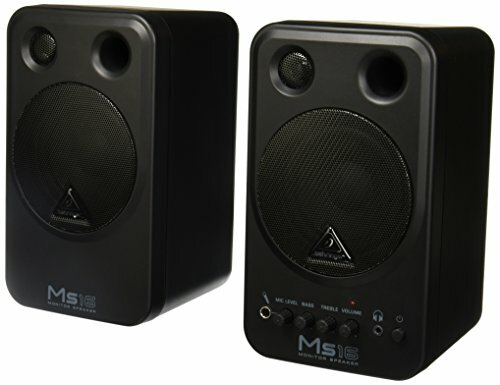 It is one of the most affordable options for speakers and ideal for students and novice bands. Why We Liked It - It is a very well-known product that has high ratings and good reviews but what we like most is its simplicity and little additions like front LED for power on or LCD display that make it very useful in almost any kind of setting whether on stage or in your home. 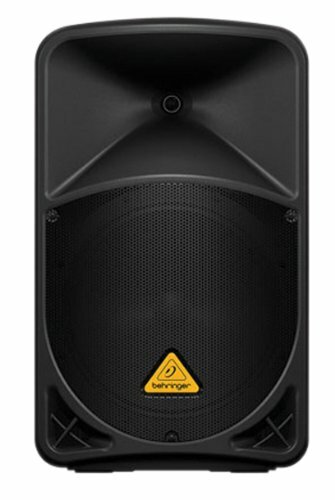 Behringer Eurolive B112D is the answer to the question where can I find a really good quality speaker that does not cost a fortune. Yes, it is inexpensive and great at what it does: produce quality sound. It is only 27 pounds thanks to its compact design. Obviously that makes it very portable so if you carry speaker around this is going to be so much convenient. Even at the highest volume the quality retains. 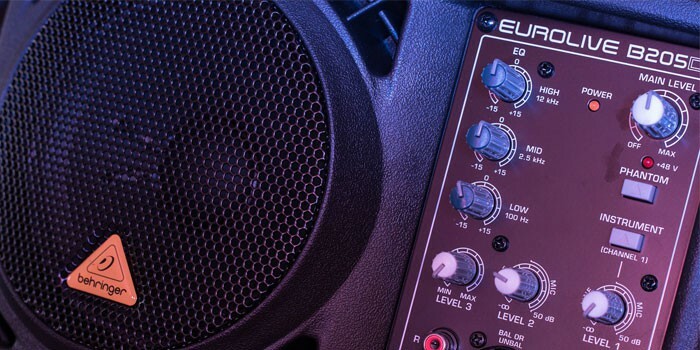 The 2 band EQ system provides control and protection from damage at very high volumes. Although the wireless system from Behringer is not included but it can work well with it. And if all of that does not convince you to consider this: it is heavy duty and has sturdy metal grill. It will last for years regardless of your frequency of use. 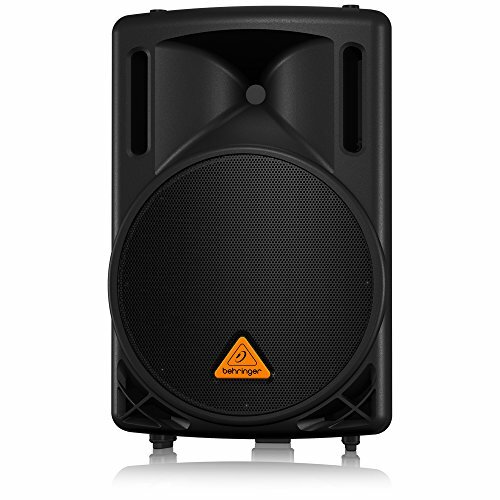 With this in your control, your concerts or parties would be loud, clear and obviously fun. These will sound great with any DJ turntable set up at a party. Why We Liked It - This one is king if we talk about value for money because it is super affordable and has so many features that make it ideal. Moreover, the small design and lightweight make it even more desirable. No matter where you plan to use it, it should excel and meet your expectations if not cross them. 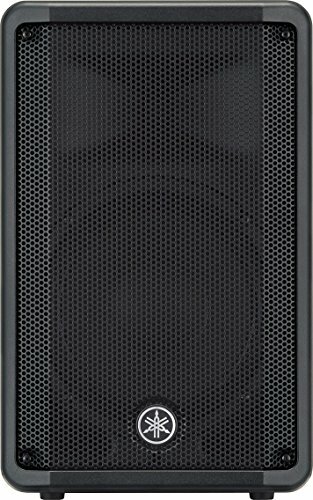 Can JBL be forgotten when we talk about speakers? Absolutely not! The SRX series is known for its range of great features and unparalleled sound. This one has the propriety 2000 watt Crown amplification that produces truly loud sound. In addition to that, you have Crown Front-End Drive Core Technology, premium JBL DSP that is user configurable, V5 Tunings compatible with Vertec and VTX touring systems, and HiQnet Network control options via iOS and Android applications. It is an all in one solution that is designed to meet professional standards. 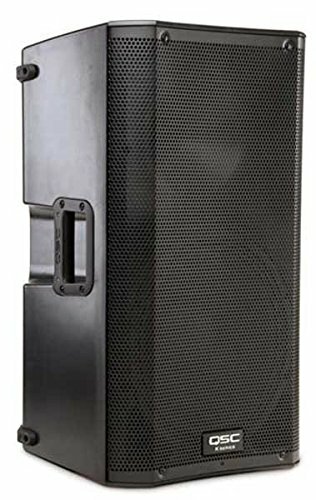 It is a little heavier and definitely pricier than most other speakers on this list, but it has the name JBL that can be trusted with eyes shut. Why We Liked It - It has all these innovative features that make SRX series one of the most sought after on the powered speaker’s scene. This speaker is truly high quality and produces a sound that is unlike anything else you would have heard before. JBL speakers are known for their small size but very loud audio. The sizes vary and usually, it increases as you add more stuff like heavy bass instruments like a keyboard or bass drums. An 8-inch speaker, although compact, should be good and loud enough for small rooms. But mostly you will find speakers that are 10 or 12 inches. These are more powerful and are great for bigger settings. However, 15 inches is even more powerful and is usually best for low-end frequencies. This is larger because it has woofers to support lower frequencies. Besides, the technical specification portability perhaps is the most important consideration that would affect your decision. These speakers are heavier than passive speakers simply because the amplifiers inside add weight to them. If you move a lot then portability becomes a necessity for you. Luckily enough, almost all such speakers are portable but some a little more than others. How portable it depends on weight, size, and handles. Size is also important not because of the question if you will be able to carry but whether you will be able to fit it in the van or car. This is pretty simple and as a general principle, the bigger the room or venue the more power you would need. 700 watts is considered strong but you would find many speakers with 1000 watts which is pretty loud. However, there are speakers with even more power so if you need something even louder go for those. Obviously, the power can be increased by adding more speakers. The thing with speakers is that if it has a lot of components there are chances of problems. In live performances or any performance or even a party, you need something that is truly reliable. This is ensured by its rigid make and enclosures. The materials used should be very high quality. Not only that the handles should be strong as well so it does not break when you carry it. Like with literally any other purchase, our main goal often is to find a product with the greatest value for money. Measuring value for money for a powered speaker would require you to look for the power, portability, and quality of the sound as well as make. If all these things are good and the price is reasonable you have something that is worth every dime. 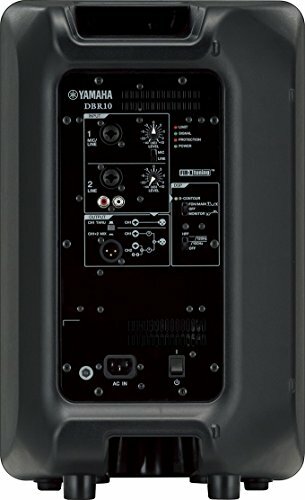 The Yamaha DBR10 Loud Speaker is a fine example of a speaker with good value for money. 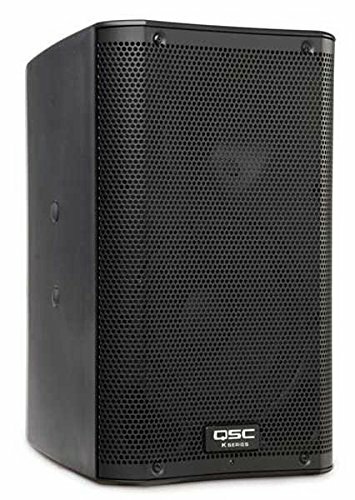 It is a 700 watts power speaker that is compact and highly portable. The sound you get is very good quality and you have years of warranty as well. It has features like on board 2 channel mixer and custom designed transducers. Often times you want something that has everything in one place and is best at everything. 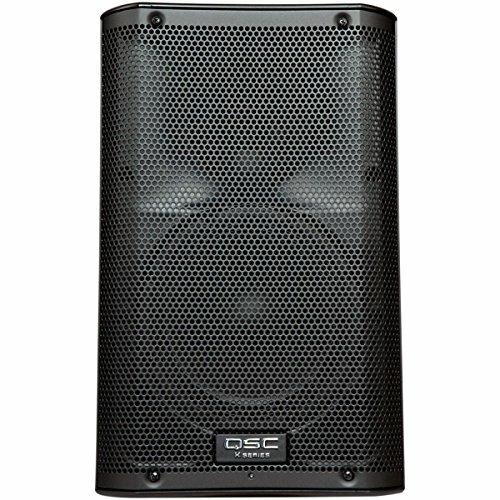 In the context of powered speakers, QSC K10 2-Way Powered Speaker - 1000 Watts, 1x10" is definitely an all-rounder product. It is a two-way speaker with 10-inch woofers and 1000 watts D class amplifiers. The sound is loud, clear and balanced even at the highest volume. The innovative Vlock technology prevents any dangling or accidental unplugs and keeps the sound going on and on. 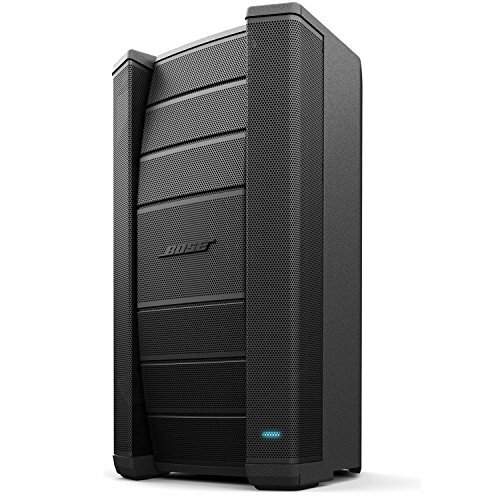 The many input options make it one of the most versatile speakers in the market. If all you care about is the quality and are willing to spend any amount of money, then go for the JBL choice. 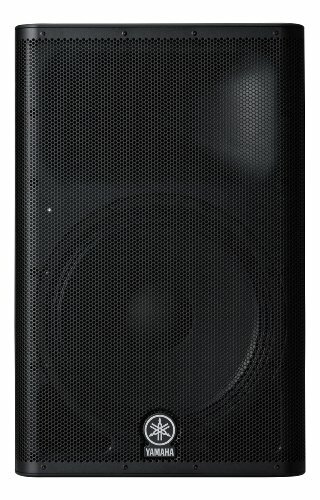 The JBL SRX815P 15" Two-Way Bass Reflex Self-Powered System Speaker is downright the best speaker. It has a whopping 2000 watts power and is jam packed with features that make its sound one of the loudest and one of the clearest. With this the control is in your hands and you get sound as you like. JBL is a name known throughout the world for their speakers and this one lives up to their reputation by leaps and bounds. Powered speakers can be quite expensive if you choose to buy from a well-known name brand. But obviously, that has its benefits as you get high quality and durability. These speakers can range several hundred dollars but the high-end ones can go up to $1000 or even more. 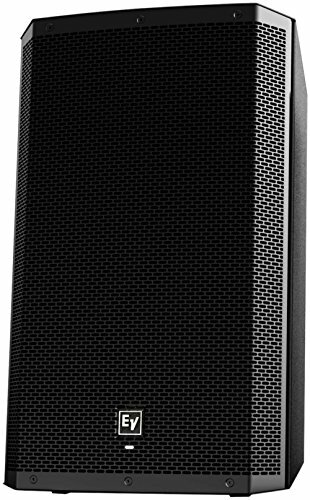 It should not be hard to find a good quality speaker with latest features and rugged make under $400. If you are a musician you want something that is purposeful and makes your routine easy. You cannot be spending the whole time figuring out your speakers. For such acts, all in one speaker propose a great solution and provide a lot of conveniences. These have powered speakers, built-in mixers, signal processing, and effects all combined in one. Also, you have so many different connection types for inputs. It is a good bargain as it saves you money and makes it easier for you to focus more on your vocals or instruments. 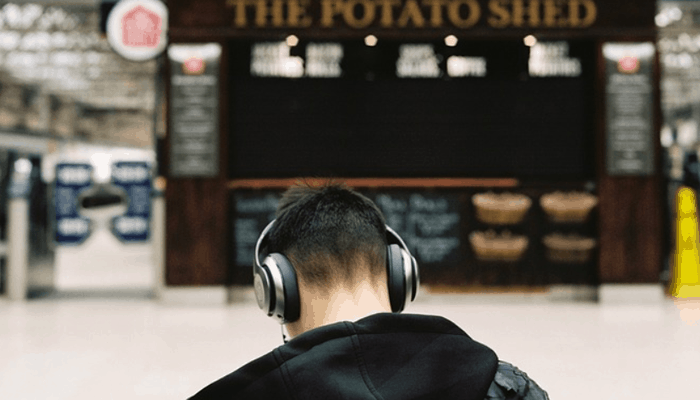 You will find some speakers to be a tad bit more spontaneous or intelligent so to speak in that they adjust sounds by themselves to produce the best output. They have the ability to recognize the sound and make adjustments. In fact, some can even recognize what position they are placed in and can adjust sound intensity according to the position. This makes them very useful in almost any kind of venue and in any kind of setting. You will find many such qualities in speakers in the list here in this article. One can daisy chain active or powered speakers with other powered speakers. It is basically the signal that travels through the XLR cable and not the power so therefore there is not any drain whatsoever. This allows you to essentially chain as many active speakers as you like. However, it still depends a lot on the brands because sometimes daisy chaining active speakers can distort the sound. Nevertheless, it is possible and can be done with speakers from different brand names. As for chaining them to passive speakers, the possibility is quite limited. The passive speakers need amplified input which cannot be provided by the active speakers as their output is not amplified. You will probably have to get a separate power amp to power the passive cabs. However, there are some dedicated active wedges that have outputs for connecting speakers like passive speakers. In very simple words, powered speakers have a built-in amplifier. 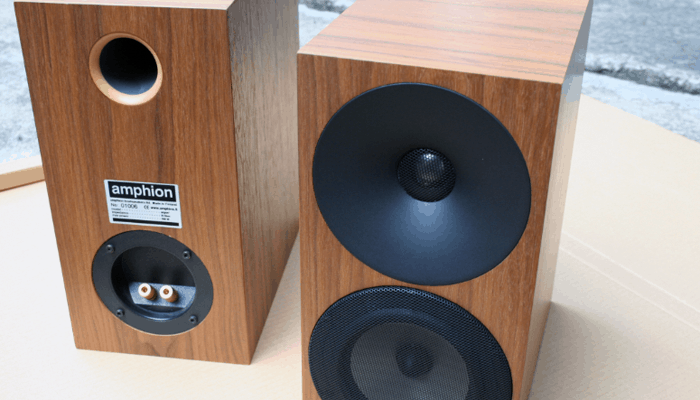 They are usually called active speakers and as opposed to passive speakers they do not have to be connected to an external amp. The built-in amp exists in the enclosure and produced an amplified sound that is usually very loud. You can just connect line level signals from the mixers to the active speakers. Active speakers also have inputs for microphone or instruments so you can directly plug these in too. And the sound is balanced so you do not need an external mixer. Active speakers take all the guess work and labor of figuring out the amps for passive speakers and make the whole system to produce a loud and balanced sound. All the work is done for you and exists within the cabinet of the speaker. 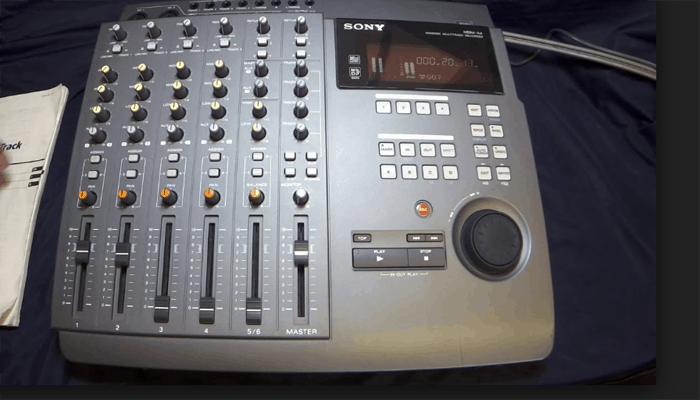 All you have to do is plug in the mixer or other audio input and that is it. They are used as both main speakers that are directed towards the audience and as monitors that are directed towards the performers. Active speakers, as opposed to passive speakers, provide a lot more convenience but there less customization. They come in different power ranges and as the venue size grows so does the power. They can easily be daisy chained with each other without having any impedance issues. 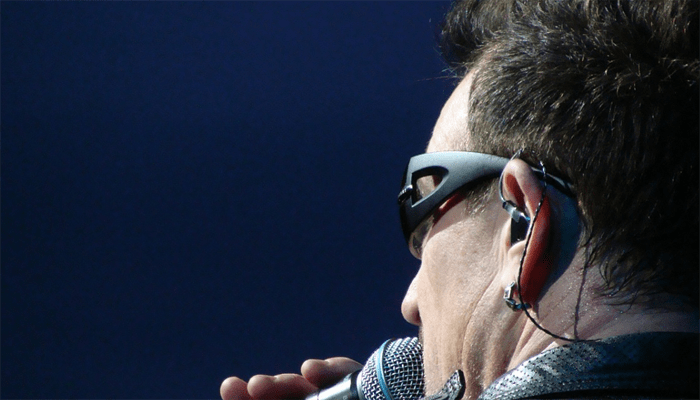 For all these reasons, musicians and bands prefer these speakers during their gigs and concerts. These speakers usually have great sound quality provided you buy from a good brand name. They can last for years on end without losing the quality with usage. Even at the highest volume, some have protection features in place to protect the speakers. Using passive speakers takes a lot of effort on your part because you have to look for compatible amps for the passive speakers you have. That all can be a bit tedious and as a musician, your focus should be on producing music and not speakers. This is why active speakers provide ease and flexibility. Additionally, these speakers are all-in-one and can easily be carried. You would have a handle to hold it and virtually take anywhere. 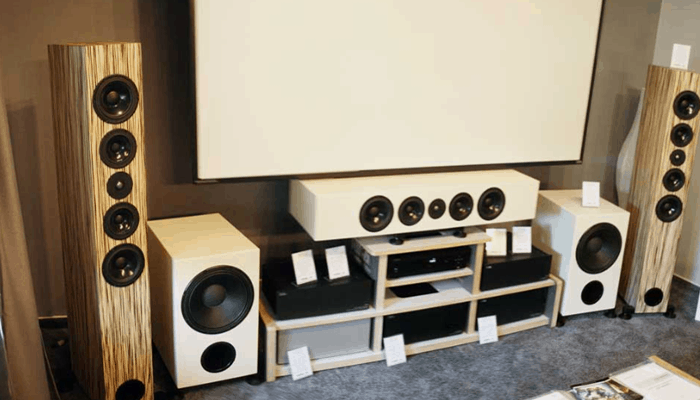 With passive speakers, you have a whole system to transport including amps. Biamplification is the process that separates the audio signal into two ranges of frequencies. These separated frequencies are then amplified separately that are driven by separate speakers. The active crossovers send the lower frequencies to large drivers and higher ones to smaller drives. This basically allows the right amplifiers to be chosen that match well with the speakers. This is very common in sound reinforcement and is found in all active speakers. The result of biamplification is that you get a more balanced sound that is clear and audible. The crossover is the device that actually divides the signal into separate frequencies that are then sent to drivers like speakers, horns or tweeters. The two way crossover which is pretty common that has two filters lowpass and highpass. The former sends the lower frequencies to the woofer and the latter sends the higher frequencies to the tweeter. The crossover has either passive or active design. Anyone can set up a crossover in audio system but you should know where crossover points are located. Subwoofers are speakers that are optimized to produce the lowest frequencies. Adding a subwoofer to the speaker would not necessarily make the sound louder or high in quality. The effect would be that the overall low-frequency volume would have a lot more punch. Some active speakers have built-in woofers so you probably will not even need to add a subwoofer. Nevertheless, the 20Hz to 100 Hz range that subwoofers focus on can be difficult to produce with an active speaker. So if you really are a bass person, then getting a sub could be a good idea as it will enhance the bass and bring it to a more punchy level. In some cases, the vibrations may compromise mid or high frequencies. So essentially you will need a very high quality powered speaker to use with a subwoofer. Nevertheless, they can be a good addition to the sonic spectrum and make the sound somewhat fuller especially in a large venue with lots of people. Just like speakers, subwoofers are active as well as passive. The benefits are pretty much the same as well as they are in speakers.